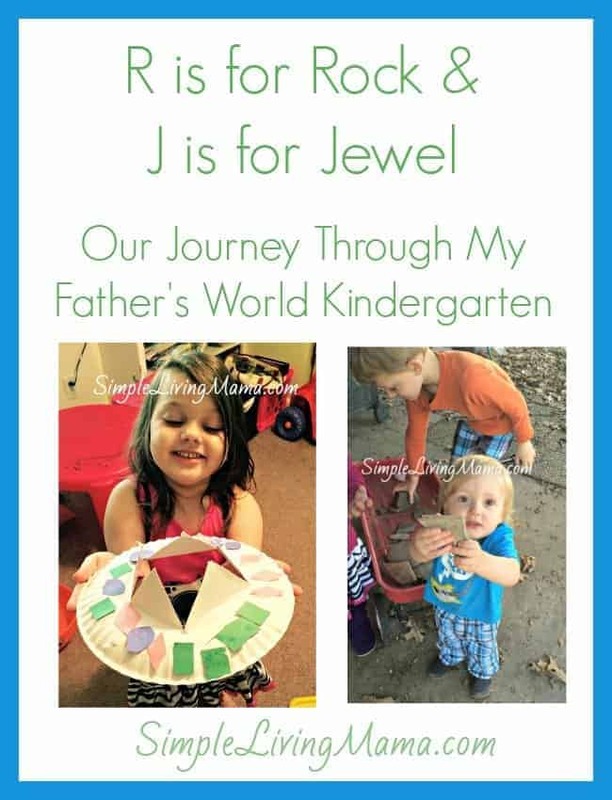 We just finished up the R is for Rock and J is for Jewel units of My Father’s World Kindergarten! These units had some really fun crafts! 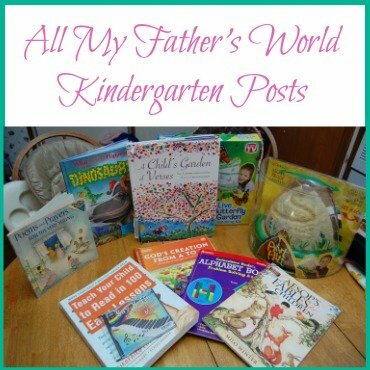 We have had such a great time with our My Father’s World Curriculum. We had a lot of fun with these two units. We got to the library for the Rock unit and picked up several of the suggested books in the teacher’s manual. 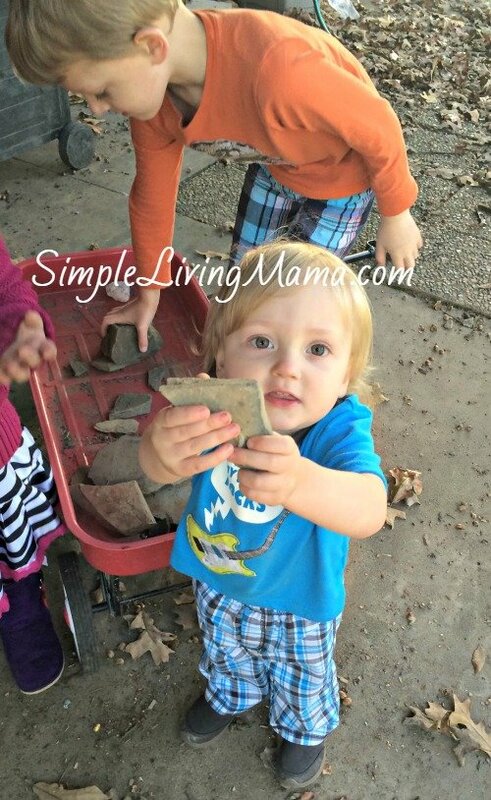 We went rock collecting in our backyard! The kids had fun loading up the wagon with rocks. We also made mini volcanoes out of homemade playdough. 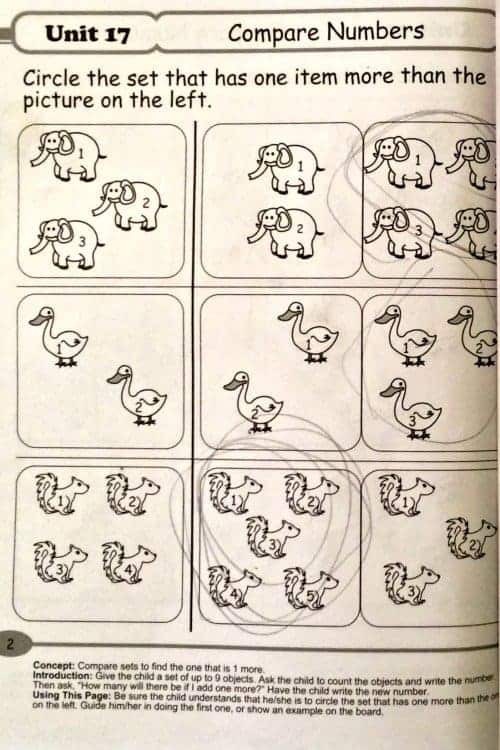 The kids formed them themselves. I recorded a little video of our erupting volcanoes. We used food coloring for the vinegar to make it red. 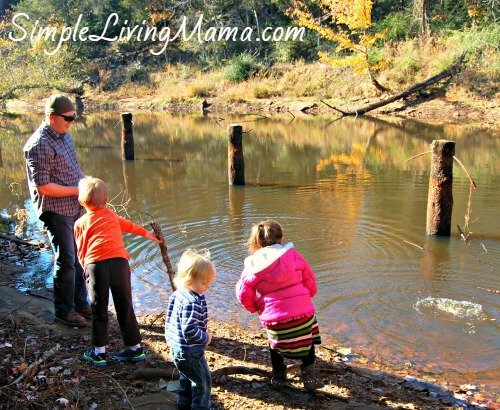 We took the kids on a field trip to a local state park and they had a blast skipping rocks on the water. I didn’t get a picture of our book time, but we read “Stone Soup” and then made our own delicious vegetable soup. We didn’t do a lot of extras for the jewel unit. We did make a necklace as suggested in the book by cutting up three drinking straws and stringing them on yarn. We also talked about my enagement rig and why it is valuable. 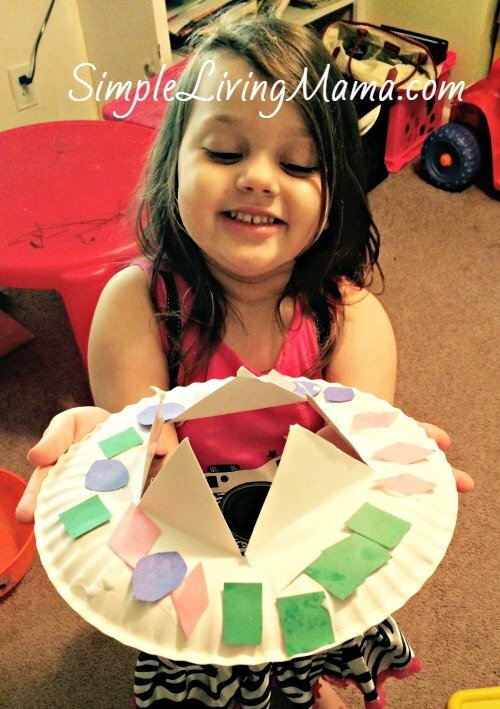 Our big craft for the J unit was a paper plate crown. 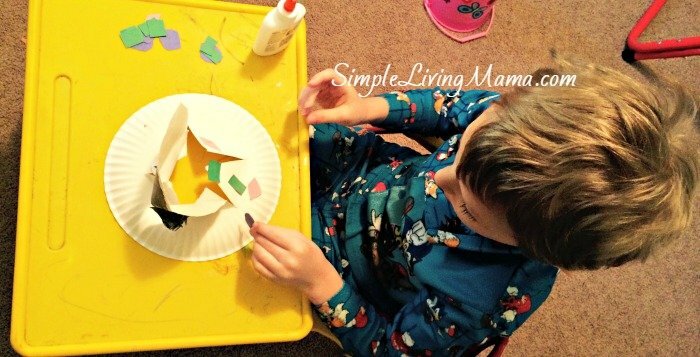 I just cut out “jewels” from construction paper for the kids to glue on the plate. We have started incorporating Singapore Essentials Kindergarten Math B, and it has been a wonderful supplement for Bug. Here’s a sample page. We have also really enjoyed IXL for extra math practice!